A-HOTEL.com - Luxury and cheap accommodation in Pushnoy, Russia. Prices and hotel, apartment booking in Pushnoy and surrounding. This indicative offer was derived from the most recently booked accommodation in Pushnoy and sort by the price, from cheapest Pushnoy accommodation to the most expensive hotels. To select accommodation by your preferences we recommend to choose from 1 accommodation offers in Pushnoy in total. By entering the dates of your overnight stay in Pushnoy and using the filter tools you can sort the best possible accommodation for you. The entered dates of your stay are crucial for the most accurate offer as it derives all the online information on pricing and availability of Pushnoy accommodation. Then you can book the selected Pushnoy lodging (hotels, apartments etc.) immediately. Located halfway from Saint Petersburg to Murmansk on the E105 Highway, Pushnoy Motel offers accommodation and laundry services. All rooms come with cable TV. Located at the banks of the lake, Turbaza Shuyezero features a sauna and free private parking. The rooms provide a forest view and cable TV. Located in Shuyezero, Park Hotel offers accommodation with a flat-screen TV. The accommodation features a sauna. 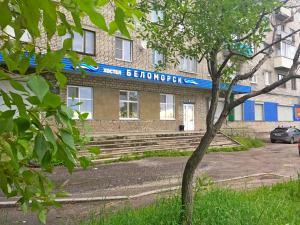 Offering a restaurant, Hotel Gandvik is located in Belomorsk, 250 metres from the River Vyg. Free WiFi access is available in all areas. Apartment Pervomaiskaya 10 is located in Belomorsk and offers a shared lounge. This apartment provides a 24-hour front desk and free WiFi. Barskie Choromi provides beachfront accommodation in Belomorsk. Boasting a 24-hour front desk, this property also provides guests with a barbecue. Offering free WiFi and sea views, Apartment on Portovoe shosse is an accommodation located in Belomorsk. Guests staying at this apartment have access to a fully equipped kitchen. 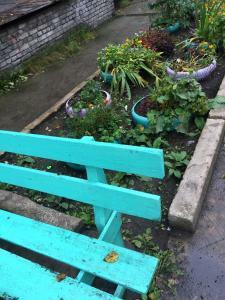 Set in Belomorsk, Belomorsk Hostel offers free WiFi. The property features a 24-hour front desk. Apartment na Kameneva offers self-catering accommodation in Kem', just steps from the bank of the Kem' River. Free WiFi access is available. Located in Kem', Apartment on Proletarskiy Avenue features accommodation with a balcony and free WiFi. The property has river and city views. Featuring accommodation with a balcony, Apartment Oktyabrskaya 21 is situated in Kem'. This apartment features a garden. Boasting a shared lounge, 3 -комнатная квартира в Кеми features accommodation in Kem' with free WiFi and river views. This property offers access to a balcony. Located in Kem', Apartment on Puetnaya 1 provides accommodation with a balcony and free WiFi. Guests staying at this apartment have access to a fully equipped kitchen. Set in Kem' in the Karelia region, Пролетарский пр.50 features a balcony. Boasting accommodation with a balcony, Apartments na Energetika is set in Kem'. Guests may enjoy the free WiFi. Located in Kem', Кемский берег provides accommodation with private terraces. Among the various facilities are a garden and a shared lounge.